Collection Phonetic 10 Phonetic Hindi fonts for beginners easy to type. 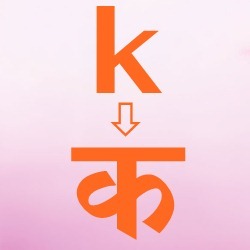 10 Phonetic Hindi fonts for beginners easy to type. This is the first time when I have chosen some of phonetic fonts from Devanagari font collection. Phonetic fonts are always the first choice of any Devanagari newbie. There is lot less to remember the keymaps for a phonetically encoded Devanagari font. Even sometimes for a few words we use the same spelling for a word both in Hindi and English. Sometimes for new users google provides phonetically enabled input or a direct onscreen keyboard to make it services much easier. For a small works phonetic encoding is quiet useful for beginners. People who don't have good hand in remington or unicode can prefer phonetic fonts to save their time. I've collected some phonetic fonts which are mostly used in Maharashtra for Marathi. First five fonts of Marathi series have some encoding and others like shivaji series have a different encoding. Users can download fonts according to their need. Some of these fonts can be also found in different encoding like in remington or unicode. To find these fonts in other supported formats click here. Users who wish to use these fonts in other format can get these fonts in other formats. Font name: Marathi Sharada, Font Style : regular, Download font, Download Keyboard layout image, Font size : 18.38 KB. Font name: Marathi Lekhani, Font Style : regular, Download font, Download Keyboard layout image, Font size : 17.00 KB. Font name: Marathi Vakra, Font Style : regular, Download font, Download Keyboard layout image, Font size : 21.95 KB. Font name: Marathi Tirkas, Font Style : regular, Download font, Download Keyboard layout image, Font size : 25.82 KB. Font name: Marathi roupya, Font Style : regular, Download font, Download Keyboard layout image, Font size : 31.65 KB. Font name: Shusha02, Font Style : regular, Download font, Download Keyboard layout image, Font size : 32.07 KB. Font name: Aarti, Font Style : regular, Download font, Download Keyboard layout image, Font size : 23.53 KB. Font name: Shivaji01, Font Style : regular, Download font, Download Keyboard layout image, Font size : 89.94 KB. Font name: Shivaji05, Font Style : regular, Download font, Download Keyboard layout image, Font size : 89.94 KB. Font name: Bharatvani, Font Style : regular, Download font, Download Keyboard layout image, Font size : 24.78 KB.